Mobile satellite services operator Iridium announced July 28 that SpaceX will conduct the third launch in its fleet replenishment Sept. 30 from Vandenberg Air Force Base in California. Scheduled for 6:30 a.m. Pacific time, the launch will carry 10 Iridium Next satellites, bringing to 30 the number of satellites orbited for Iridium’s modernized constellation of low-Earth orbit telecommunications satellites. SpaceX launched the first 10 Iridium Next satellites Jan. 14, followed by the second set of 10 on June 25. Iridium is launching its entire Next constellation on SpaceX Falcon 9 rockets, with completion expected in mid-2018. Hong Kong-based satellite fleet operator AsiaSat said July 31 that its next satellite will launch Sept. 28 on a Proton rocket from the Baikonur Cosmodrome in Kazakhstan. The satellite, AsiaSat-9, has been in storage with manufacturer Space Systems Loral since passing its pre-ship review in April, AsiaSat said. The launch, arranged by International Launch Services, the commercial arm of Proton manufacturer Khrunichev, will be the third commercial Proton launch this year. ILS spokesperson Karen Soriano told SpaceNews July 31 that Hispasat’s Amazonas 5 is ahead of AsiaSat-9 in Proton’s launch queue. She declined to say when the Amazonas-5 launch would occur. In its financial results for the second quarter of 2017, Iridium reported total revenue of $111.6 million, which consisted of $86.6 million of service revenue and $25 million related to equipment sales and engineering and support projects. This is a revenue increase of approximately 2 percent versus the same period a year ago. Commercial service remained the largest part of the company’s business, comprising 58 percent of total revenue during the second quarter. SpaceX has raised more than $350 million in a new funding round that values the company at $21.2 billion, according to data obtained by a financial company. Equidate, a San Francisco company that operates a market for trading shares in privately-held companies and publishes financial information about them, said that SpaceX had closed a $351 million funding round, designated Series H, in July. News of the funding was first reported by the New York Times, which recently profiled Equidate. After a picture-perfect launch from Kazakhstan and a problem-free rendezvous, a Russian Soyuz spacecraft docked at the International Space Station Friday, boosting the lab's crew back to six and, for the first time, giving NASA and the European Space Agency four astronauts devoted to research in the U.S. segment of the complex. With commander Sergey Ryazanskiy monitoring an automated approach, flanked on his left by NASA flight engineer Randy Bresnik and on the right by Italian astronaut Paolo Nespoli, the Soyuz MS-05 spacecraft docked at the Earth-facing Rassvet module at 5:54 p.m. ET. An appropriations bill approved by a Senate committee July 27 would restore funding for several NASA Earth science missions slated for termination by the administration as well as a satellite servicing program. The Senate Appropriations Committee approved a commerce, justice and science (CJS) appropriations bill, along with two other spending bills, during a markup session. The CJS bill, offering $19.529 billion for NASA overall, had cleared its subcommittee July 25. Pittsburgh-based Astrobotic said it selected ULA to launch its Peregrine lunar lander, carrying 35 kilograms of payloads from a number of customers to the lunar surface. The companies did not disclose the terms of the deal. Following an acknowledgment of another deployment extension for the GPS 3 ground control network, the U.S. Air Force publicly and forcefully called on contractor Raytheon to put the program back on track. It will take at least another additional nine months to deploy the Global Positioning System Next Generation Operational Control System (GPS OCX), Capt. AnnMarie Annicelli, an Air Force spokeswoman, said July 31. Big Bend Telephone Company in Texas has become the first commercial user of the Explorer MSAT-G3 system for the next generation Mobile Satellite (MSAT) service, which combines Cobham Satcom’s Push-to-Talk technology, Ligado Networks’ SkyTerra 1 satellite and ViaSat’s low-latency, IP-based L-band mobile satellite services network. 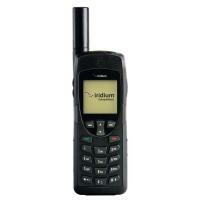 According to Cobham, MSAT-G3 is the only system in its class to provide AES-256 encrypted push-to-talk voice and associated data over satellite. The German Aerospace Center, Germany’s space agency, will fly two experiments on a suborbital flight by Blue Origin’s New Shepard vehicle later this year as part of an effort to diversify its microgravity research efforts. Thomas Driebe, head of the physical and material sciences program at the center, known by the German acronym DLR, said in a presentation July 18 at the International Space Station Research and Development Conference here that the center planned to fly the physical sciences experiments under a commercial deal with Blue Origin. The first mission is set to lift off in 2020 from Space Launch Complex 41 at Cape Canaveral Air Force Station, in Florida. The second contracted mission is scheduled to lift off in 2021. Dream Chaser will launch atop an Atlas 5 552, with a dual engine Centaur upper stage, according to ULA. The director of NASA’s Jet Propulsion Laboratory said his center is pressing ahead with work on current and proposed missions to Mars and Europa despite ongoing debates on Capitol Hill about funding some of those missions and the impact they could have on the lab’s capabilities and workforce. In a July 13 presentation at a Space Transportation Association luncheon here, Michael Watkins said that work is going well on two flagship-class planetary science missions under development at JPL, the Mars 2020 rover and the Europa Clipper multiple-flyby mission. SpaceX no longer plans to have the next version of its Dragon spacecraft be capable of powered landings, a move that has implications for the company’s long-term Mars plans. SpaceX Chief Executive Elon Musk, speaking at the International Space Station Research and Development Conference here July 19, confirmed recent rumors that the version of the Dragon spacecraft under development for NASA’s commercial crew program will not have the ability to land on land using SuperDraco thrusters that will be incorporated into the spacecraft primarily as a launch abort system. Star Navigation Systems has confirmed the first order for Star V-trk units, the company’s newest tracking and monitoring equipment for airborne applications. Tianjin Zhonglian Tiantong Space Technology (ZLT), Star’s distributor in China for Star V-trk, will deploy these first two units before the end of October. ZLT will also use Star ground segment technology for tracking and data display. The Star V-trk is the latest part of Star’s patented family of systems, able to track and monitor aircraft, in real time, worldwide. According to Star Navigation, it is the smallest piece of equipment in its portfolio, able to perform tracking and positioning through satcom, as well as provide on-board data collection, processing and downloading. NASA is taking the next small step in the development of a proposed Deep Space Gateway in cislunar space by requesting information about one of its core modules. A request for information (RFI), released by NASA July 17, seeks information from industry regarding their capabilities to build a Power and Propulsion Element (PPE), a module that will produce electrical power and provide chemical and electrical propulsion for the gateway. Launched in June for general aviation customers, Rock Seven has now made its RockAIR tracking system available for land-based applications. According to the company, the move is a result of high demand for dual mode communication received from land vehicle fleet owners and operators in government, charity and commercial organizations. With RockAIR, Rock Seven initially delivered a carry-on, cockpit-mounted tracking system for helicopters and light aircraft that not only provided precise location reporting globally, but also introduced new Internet of Things (IoT) functionality that allowed pilots to send and receive messages and data over the internet. Are Satellites the Key to Cybersecurity in the Cloud? Cloud Constellation has partnered with Turkish satcom company Teknomobil to resell its Space Belt data services to customer markets in Turkey and the Middle East. Cloud Constellation is a startup that is currently developing a Low Earth Orbit (LEO) constellation of secure data centers for cloud service providers. According to Cloud Constellation President Cliff Beek, the partnership is a step toward the company’s broader market strategy of aggregating global resellers in regions and verticals where data security is paramount. Intelsat has joined a group of current and prospective satellite fleet operators in asking U.S. regulators to withhold approval of SpaceX’s mega-constellation of low-orbiting satellites until it can be analyzed for interference risk. Intelsat’s comment to the U.S. Federal Communications Commission (FCC) does not oppose SpaceX’s 4,425-satellite Internet delivery constellation as such. Instead, the company is protesting that SpaceX only filed a detailed analysis of its plans to avoid signal inference on July 12. Mobile satellite communications company Inmarsat said it has partnered with satellite communications provider Network Innovations and maritime transportation provider Dunlap Towing to install Fleet One across its fleet of 12 vessels. For Dunlap, the Dutch Harbor and Pacific Coast routes in Alaskan waters have traditionally been challenging and its existing service did not offer the reliability required to transmit important operating and safety reports, communicate back to shore or make critical inter-fleet voice calls, according to Inmarsat. Dunlap needed a service that could accommodate its coastal requirements and support its longer open water routes providing a reliable, guaranteed connection. The government of Luxembourg has passed a bill giving companies the rights to space resources they extract from asteroids or other celestial bodies. The parliament of Luxembourg, a unicameral body known as the Chamber of Deputies, voted 55 to 2 in favor of the space resources law July 13. Passage of the bill means the act will become law on Aug. 1. MCLEAN, Va., July 11, 2017 (GLOBE NEWSWIRE) -- Iridium Communications Inc. (NASDAQ:IRDM) announced today that two key milestones along the path to becoming the second recognized provider of Global Maritime Distress Safety System (GMDSS) services have been reached. During its 98th session this past June, the International Maritime Organization's (IMO) Maritime Safety Committee (MSC) adopted new performance standards for GMDSS equipment and approved amendments to the Safety of Life at Sea (SOLAS) Treaty, which pave the way for Iridium to become a recognized GMDSS service provider. 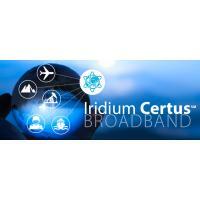 The key remaining step in the approval process is an IMO resolution recognizing Iridium as a certified GMDSS mobile satellite service provider. Iridium expects this will be completed during calendar year 2018, with Iridium GMDSS service to begin in 2020. A Soyuz rocket successfully launched 73 satellites, including spacecraft for four companies’ cubesat constellations, July 14. The Soyuz-2.1a lifted off from the Baikonur Cosmodrome at 2:36 a.m. Eastern. The rocket deployed the primary payload, the Kanopus-V-IK remote sensing satellite, about an hour after launch, followed by 72 smallsat secondary payloads over the next seven hours. 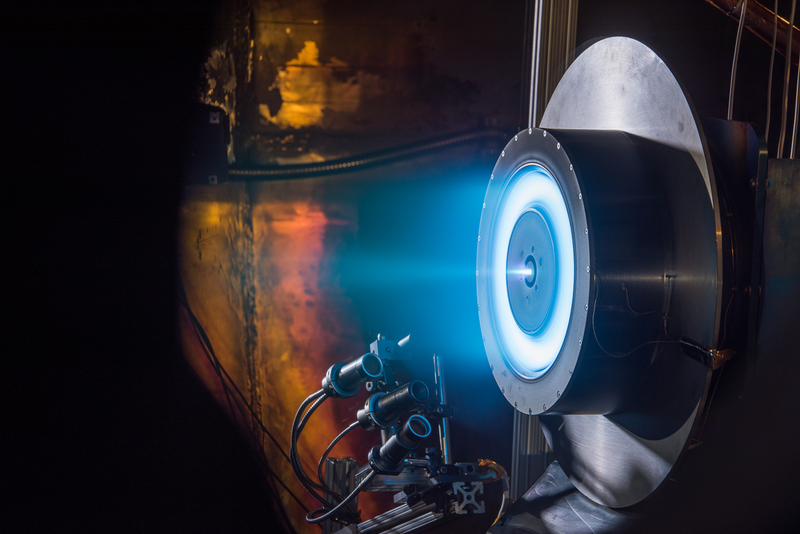 Aerojet Rocketdyne successfully conducted a series of hot-fire tests on a Power Processing Unit (PPU) for an Advanced Electric Propulsion System (AEPS) designed to further the United States’ commercial space capabilities as well as support NASA’s plans for deep space exploration. The tests were conducted at NASA’s Glenn Research Center in Cleveland, Ohio. Operating while in orbit is the next big challenge for the space sector, be it manufacturing, assembly, satellite servicing, or debris removal, experts said Thursday. Speaking at a technology summit hosted by Defense One, Bhavya Lal, with the Institute for Defense Analysis at the Science and Technology Policy Institute, said focusing on the problems of the future will help the U.S. maintain its technological lead in space. The Satellite Industry Association (SIA) released its annual report on the "State of the Satellite Industry" today with data on how the industry fared in 2016 compared with prior years. SIA President Tom Stroup said 2016 "was once again a positive year," though results for the four industry market segments varied widely. Global satellite manufacturing revenue dropped 13 percent, for example, while satellite ground equipment revenue grew 7 percent. SIA released the 2017 report, the 20th in the series, at a press conference this morning in Washington, D.C. The report was prepared for SIA by Bryce Space and Technology. Overall, worldwide satellite industry revenue grew by two percent in 2016 to a new high of $261 billion, up from $255 billion in 2015. Moon Express, a company developing commercial lunar landers, said July 12 its first mission is still on schedule to launch by the end of this year in a bid to win the Google Lunar X Prize. The Florida-based company used an event on Capitol Hill to unveil the design of that lander, known as MX-1E, as well as plans for future missions that include larger landers and sample return spacecraft. That spacecraft, capable of placing up to 30 kilograms of payload onto the lunar surface, is the building block of a “flexible, scalable and innovative exploration architecture that can help us open the moon as a frontier for humanity,” said Moon Express Chief Executive Bob Richards. With time running out to start work on a 2022 Mars orbiter, a NASA official said July 10 the agency plans to have a “coherent Mars architecture” for future robotic Mars missions ready for presentation an at August committee meeting. Michael Meyer, lead scientist for the Mars Exploration Program at NASA Headquarters, said that architecture is on track to be presented at a meeting in late August of a National Academies committee reviewing progress NASA has made implementing the planetary science decadal survey published in 2011. “It is in August when the committee meets that they’ll hear a coherent Mars architecture for what we hope to do for sample return and potentially other missions associated with that,” Meyer said at a teleconference meeting of the Mars Exploration Program Analysis Group (MEPAG). He added that he and others were working to ensure “agency endorsement” of that plan prior to the presentation. After two last-minute aborts over the holiday weekend, SpaceX successfully orbited a satellite for operator Intelsat on Wednesday evening, July 5. At 7:38 p.m. EDT, a Falcon 9 rocket lifted off from Launch Complex 39A at the Kennedy Space Center and delivered the Intelsat 35e satellite into Geostationary Transfer Orbit (GTO). Intelsat 35e, the fourth addition to Intelsat’s Epic High-Throughput Satellite (HTS) constellation, carries a C- and Ku-band payload, and will meet demand for wireless backhaul, mobility services, Direct-to-Home (DTH) transmissions, and government applications in the Caribbean, Europe and Africa. Intelsat 35e was originally scheduled to fly on July 2, but due to a computer-triggered abnormality SpaceX was forced to scrub the launch just 9 seconds before liftoff. Engineers from the company spent the Fourth of July holiday conducting a full review of the rocket and pad systems. Iridium Next – innovating & building upon a pre-existing satellite network: Last month’s launch of Iridium Next 11-20 satellites represented the second of Iridium’s eight launches contracted with SpaceX for the launch of their Iridium Next constellation – a 75 satellite network (66 operational and 9 spares) designed to replace the venerable original Iridium constellation. A remote Highland peninsula could be the site of Britain’s first launchpad for future space missions under new plans submitted to the UK’s space agency. A consortium, which includes US aerospace firm Lockheed Martin, believe that the A’Mhoine peninsula in Sutherland would be the ideal location in Britain from which satellites could be launched into orbit. A detailed proposal for the facility - located between Dounreay and Cape Wrath - has been submitted to the UK Space Agency (UKSA) which has met with Highland council and Highlands and Islands Entreprise (HIE) to discuss the plans. PacSci EMC successfully completed initial payload tests of new technologies on its on-orbit technology demonstrator satellite, PacSciSat, on June 30. After a one-week satellite commissioning period in a 515 km sun synchronous polar orbit, PacSci EMC successfully passed built-in tests on both its primary and redundant Smart Energetics Architecture (SEA) sequencing system and devices, fired two Smart Initiators, and demonstrated pyrotechnic rocket-based attitude control maneuvers. “This phase of the mission proved that our SEA-based networked sequencing system firing Smart Initiators, performs reliably and precisely as commanded and is now at Technology Readiness Level 9 (TRL-9),” said Greg Scaven, PacSci EMC’s president. President Donald Trump signed an executive order on Friday, June 30, resurrecting the National Space Council, an organization originally established to coordinate the United States’ space policy between government agencies. Vice President Mike Pence will be the chairman of the new Council, serving alongside several presidential cabinet members, secretaries from multiple government departments, NASA representatives, and leaders from the private space industry. However, President Trump has yet to appoint a new NASA administrator, nor has he selected a new director for the Office of Science and Technology Policy, both of whom will have a seat on the Council. Former astronauts including Buzz Aldrin attended the signing, along with representatives from Lockheed Martin and Boeing. Work has started on building a massive constellation of hundreds of satellites designed to deliver broadband and phone links to the entire planet. OneWeb is partnering aerospace manufacturer Airbus in the mammoth task of building at least 900 satellites and sending them into orbit by 2025.The partnership is opening production lines at factories in France and the USA aiming to output three satellites a shift. To meet the demands of such a rigorous schedule, designers and engineers have had to scrap the normal top-quality mindset that demands the best components and materials. The United Kingdom must regulate on a risk-aware, yet enabling, basis — allowing low cost launch capabilities, including space planes, to be the "steam locomotive" of the 21st century. "As we prepare to leave the European Union and so redefine our place in the world, we must ensure that the decisions we take now put the U.K. in a position to build a strong, resilient, well balanced economy that works for everyone." This wording is stated in the foreword to the U.K. Draft Spaceflight Bill, published in February 2017. The United Kingdom seeks to be the first country in Europe to provide a hub for the low cost launch of small satellites. "We want to see U.K. spaceports enabling the launch of small satellites from the U.K., as well as sub-orbital spaceflights and scientific experiments," the foreword continues. Airbus Safran Launchers, which became ArianeGroup on July 1, has begun construction of the combustion chamber of the first flight model of the Vinci engine at its Ottobrun site near Munich. Vinci is the re-ignition motor of Ariane 6’s upper stage. Construction has begun following more than 120 successful tests using development models. According to the company, this is a key step towards the success of the first Ariane 6 flight, scheduled for 2020. The new re-ignition engine will increase the operational flexibility of the Ariane 6 launcher, which the company stated can fulfill a range of missions, including the launch of constellations. Arianegroup is lead contractor for Europe’s Ariane 5 and Ariane 6 launcher families, responsible for both design and the entire production chain, up to and including marketing by its Arianespacesubsidiary, as well as for the missiles of the French oceanic deterrent force. The launch of a SpaceX Falcon 9 rocket carrying a powerful communications satellite was called off just 10 seconds before blastoff Sunday because of an apparent glitch in the rocket's guidance and navigation system. SpaceX planned to make a second attempt Monday, assuming the problem can be fixed in time. The California rocket builder was trying to launch its third Falcon 9 in just nine days following the successful launches of a Bulgarian communications satellite from the Kennedy Space Center on June 23, following by the launch of 10 Iridium NEXT telephone relay stations from Vandenberg Air Force Base, Calif., two days later. Can a father-son duo successfully fly a Bell Helicopter 429 Global Ranger around the globe? At this point, the answer to that question is unknown. No duo of that description has circumnavigated the world in a helicopter, or any aircraft, before (though the feat itself has been done before). But in celebration of Canada’s 150th anniversary, Bob Dengler and his son, Steven Dengler, along with retired 429 test pilot Rob “Dugal” MacDuff, are about to find out. 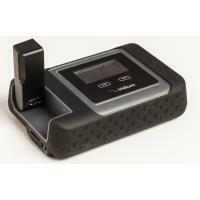 And, thanks to Honeywell’s Aspire 200, the rest of the world can find out, too, and follow their journey in real time. Dubbed C150 Global Odyssey (C150GO), the project is a registered Canadian nonprofit, raising money for True Patriot Love Foundation and Southlake Foundation. The former supports military families in Canada, including community-based programs that address challenges that veterans face. True Patriot Love also contributes to the Canadian Institute for Military and Veterans Health Research. Southlake Foundation fundraises for Southlake Regional Health Centre in Ontario. The center serves more than 1 million people. To date, only 536 people have traveled to space and the vast majority have been men from a handful of nations. Dylan Taylor, a space industry angel investor and SpaceNews columnist, is eager to share the experience with 10,000 people through a nonprofit organization, Space for Humanity, that will pay for the trips. Space for Humanity is beginning to solicit nominations through its website for people from diverse backgrounds to travel to space or near space and return to Earth to serve as ambassadors who can share their experiences. In the hope of bringing affordable internet access to everyone on Earth, OneWeb and Airbus have started the production of a satellite mega-constellation. The initial order will involve the production of 10 pilot satellites that will go through a comprehensive set of tests before becoming OneWeb's first fleet. This pilot fleet is expected to be launched in just nine months, and if successful, will lead to the production of the world's largest satellite fleet of 900 satellites. The second launch of China’s most powerful rocket, the Long March 5, ended in failure July 2, the second incident involving a Chinese launch vehicle in as many weeks. The Long March 5 lifted off from the Wenchang Satellite Launch Center on the island of Hainan at 7:23 a.m. Eastern. The launch, broadcast live by Chinese media, appeared to go as planned, but those broadcasts ended prior to any announcement of separation of the rocket’s payload, the Shijian-18 communications satellite. China’s state-run Xinhua news service announced about 45 minutes after liftoff that the launch had failed. Xinhua only said that an “anomaly” occurred during the launch, and that an investigation would take place. A pair of startups are poised to introduce radically new satellite antennas that have the potential to alter the look of military air, land and sea platforms. Electronically steered flat panel antennas are intended to replace the round, parabolic receivers/transceivers that jut up from ships, command-and-control vehicles and aircraft. “The low profile I think is going to be attractive to the government market,” said Mark Daniels, vice president of new technologies and services for Intelsat General, a wholly owned subsidiary of Intelsat. In the early hours of 1st July, the SES Satellite Control reestablished contact to AMC-9. SES and the satellite manufacturer Thales are working around the clock to evaluate the status and define the next steps. 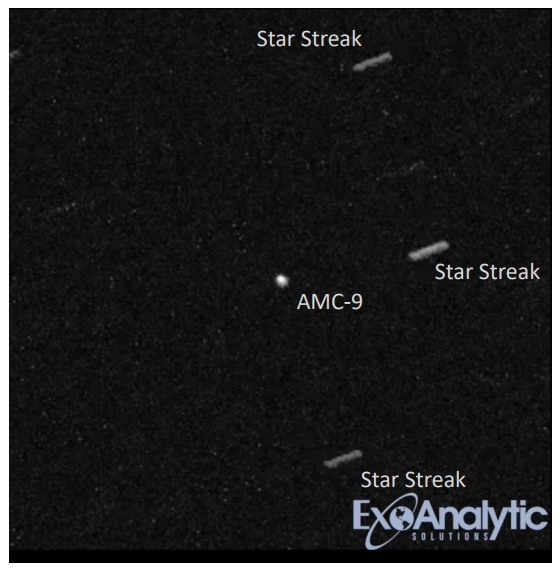 Tracking information received on 29 June had suggested that at least two separate objects were located in the vicinity of AMC-9. Their source has still to be determined. The new piece of information was included by Thales and SES in their investigations. OneWeb Satellites inaugurated its assembly line in Toulouse, France to begin end-to-end validation, testing, and integration of its first satellites set for launch in just over nine months. OneWeb Satellites is a joint venture between OneWeb and Airbus Defence and Space, with its first order to include the production of 900 communications satellites for OneWeb’s Low Earth Orbit (LEO) satellite fleet. The 4,600-square-meters facility in Toulouse will serve to validate the production methods necessary to manufacture high-performance satellites, de-risk any potential issues, and lay the framework for the larger multi-line OneWeb Satellites factory near the Kennedy Space Center, Florida, according to the company. After having undergone a comprehensive set of tests, the initial 10 pilot and Toulouse-built satellites will become the first of OneWeb’s fleet.